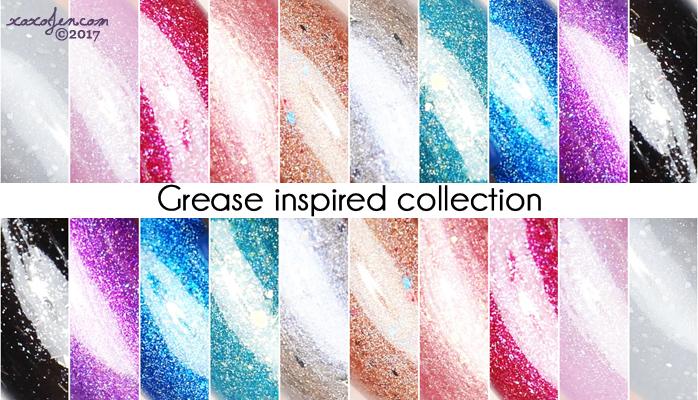 Turtle Tootsie's Grease inspired collection will launch on Sunday, August 27th at 8pm Eastern. The collection consists of 10 polishes in a variety of shades and finishes. Grease Lightning - A gray creme holo with silver holo micro glitter. Three coats with topcoat shown, formula was a little streaky but the third coat evened it out. Perfect formula, opaque in two coats and absolutely love the way it has a lavender hue to it. Shown is two coats, formula was fantastic and just look at the shimmer in this! Two coats shown, formula was good. Shown in two coats, a sort of rose gold/coppery shade, formula was great. Loving the combination of the taupey base with purple shimmer. Two coats shown, formula was good. Summer Dreams Ripped at the Seams - This is a turquoise holo with gold shimmer and gold flakies. My favorite of the bunch! There's just something about teal and gold that go so well together. Two coats with topcoat shown, formula was perfect. So vivid and beautiful, my second favorite of the collection. 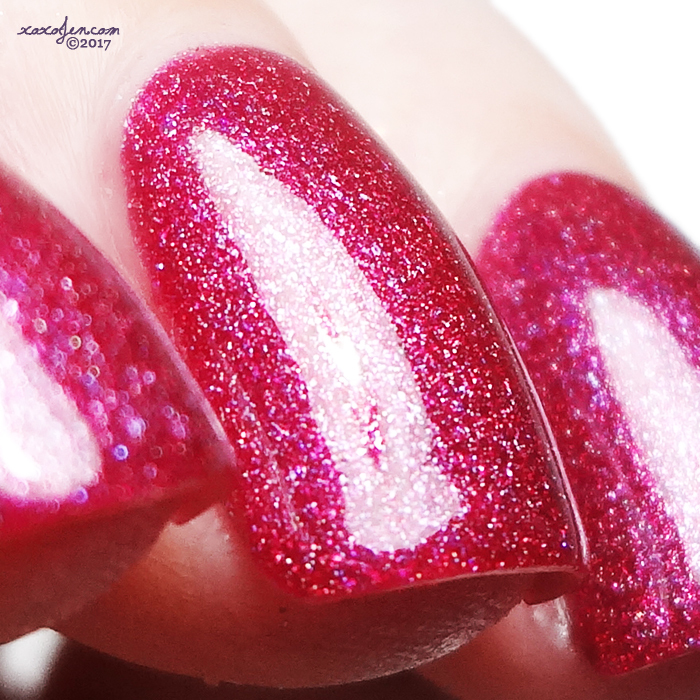 Shown is two coats with topcoat, great formula. And of course I love this purple one too, I've been wearing it almost a week with no chipping. Shown is two coats, great formula. The glitter in this is tiny bar glitter! I don't think I've seen it made that small before. Such a fun polish! Two coats with topcoat shown, formula was good. I hope you've enjoyed the collection swatches! 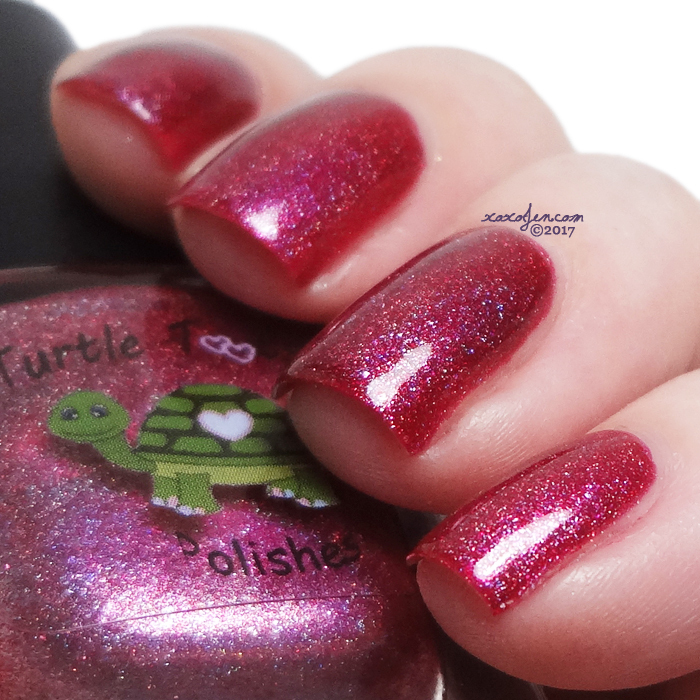 Which are your favorites from Turtle Tootsie? Lovin the new collection, awesome swatches!! Must haves are hand jive,pink ladies, summer dreams,and making fun of me riz. 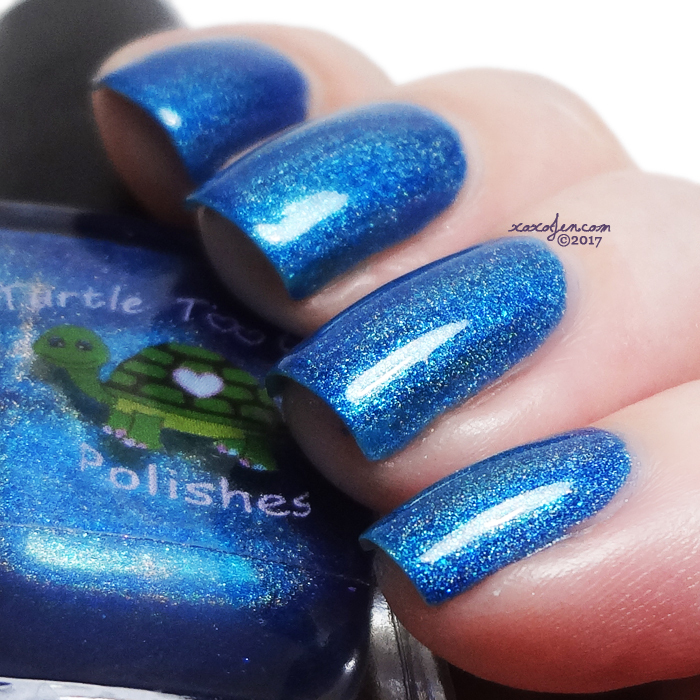 Turtle tootsie polish works great for me, body chemistry maybe, I get great wear time no chips. Yay! and yes me too! I wore one from another collection for 10 days with no chips. Pretty amazing wear on me too! The new collection looks great!